Let the Pois Moi collection from Roberto Coin elevate your style. 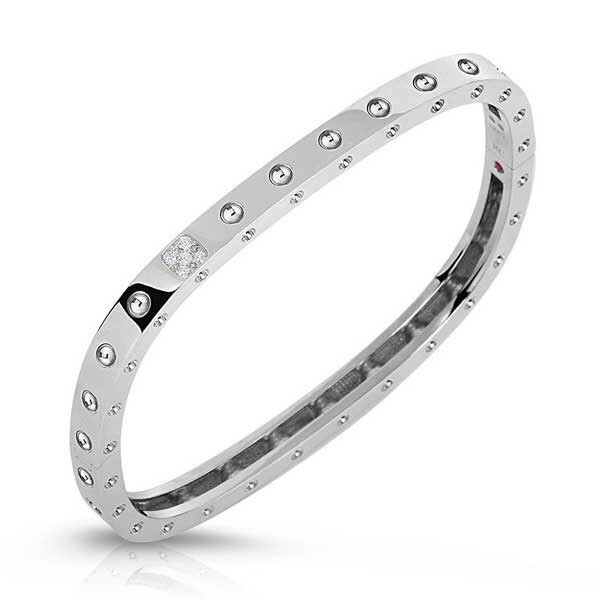 A small patch of sparkling white diamonds shimmers from this 18kt white gold bangle with a single row of perforated dots. Whether you wear this Robert Coin bracelet solo or stack it with other fabulous pieces by the designer, it will deliver a shot of sophistication to any outfit.